Having been awarded a grant through the US State Department’s US-Russia Peer-to-Peer Dialogue Program, The Wetlands Institute (TWI), Wetland Link International (WLI) and Wetlands International Russia (WIR) have teamed up to generate a beneficial international dialogue between wetland centers in the US and Russia. This project, Russia-USA Wetland Center Exchange Program: Linking People and Wetlands, seeks to identify the shared challenges of those working in wetland education and outreach throughout the US and Russia and assemble cases of best practice and delivery. This project is currently seeking six (6) wetland centers, divided equally between the US and Russia, to participate in an international exchange program and conference, develop a proven methodology for use of social media, data sharing and outreach materials, and produce a final manual for advising wetland centers on the best practices for public education and engagement as they pertain to wetland education. This manual will complement the existing Handbook on Best Practices for Planning, Design and Operation of Wetland Education Centres published by The Ramsar Convention Secretariat and the Environmental Ecosystem Research Foundation this past summer 2014.
International Exchange Program and Conference: All expenses will be paid through secured project funding. Two (2) representatives from each selected center will travel to the host center (in either the US or Russia) and explore a set of shared topics intended to provide each center with best practices and lessons learned across a broad range of subjects including, but not limited to, climate change, invasive species, loss of wetlands to agriculture and development, increased use of water, wetland biodiversity, functions, benefits and biodiversity conservation. During the visits, participants will have the opportunity to meet with the wider community around the wetland education center. 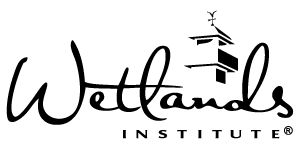 During autumn 2015, the international exchange program will culminate with a final conference and webinar at The Wetlands Institute in Stone Harbor, New Jersey. This three-day conference will consist of updates from all partners on their exchange visits, discussion about key findings and conclusions, a field trip to explore the wetland center and surrounding wetlands, and smaller break-out workshops to pull together materials that can be compiled into a final manual focused on producing materials highlighting best practices related to public education and engagement in wetland centers. During the workshops, webinars will be conducted that invite other members of the WLI network, and any other interested parties outside of the WLI network, to participate in roundtable discussions regarding wetland issues common to both the US and Russia, as well as, experiences and best practices used to engage the public in education and outreach activities effectively opening up broader input and dialogue that allows for a more internationally representative approach and a stronger more inclusive best practices manual. Methodology for Use of Social Media, Data Sharing Tool and Outreach Materials: Effective social media, data sharing and outreach materials are valuable tools for achieving education and outreach goals within the outdoor and environmental education fields. Participating wetland centers will be asked to share examples and assist in the creation of a proven methodology for successful usage of social media (such as Facebook, VKontakte, Odnoklassniki, Twitter, Skype, Instagram, Four Square, Pinterest), data sharing tools (such as organization websites, Google Docs, Dropbox) and outreach materials (such as leaflets, brochures, static and dynamic displays) as a way to best engage the surrounding community and schools in wetland education. 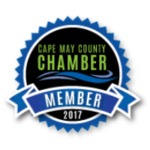 Selected centers will explore different techniques and strategies regarding public education programs, volunteer coordination, wetland field studies, nature interpretation, exhibit creation, formal education programs and other common themes and/or challenges shared by selected wetland centers. It is intended that the best of these techniques and strategies will be compiled, uploaded, and shared on TWI, WLI, and WIR websites for broader international dissemination of this proven methodology for the effective use of social media, data sharing and outreach materials. Manual for Integrating Proven Techniques into Public Education and Engagement at Wetland Centers: Based on shared US and Russian experiences through the international exchange program, conference and webinar workshops, a final manual will be produced for advising wetland education centers in both the US and Russia on implementing best practices and proven techniques for public education and engagement as they pertain to wetland education. The manual will be available in both Russian and English, will be useful to wetland center practitioners across the globe, and will work to highlight wetland issues that are common to not only the US and Russia, but countries around the world and will complement the existing Handbook on Best Practices for Planning, Design and Operation of Wetland Education Centres.